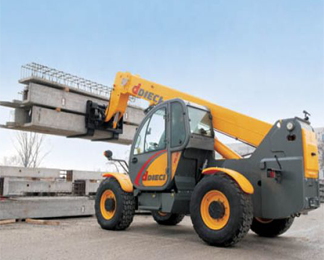 The Dieci Samson 70.10 Heavy Lift Telehandler is a heavier design than other Dieci models with deeper and wider forks for increased capacity and heavy lifting. 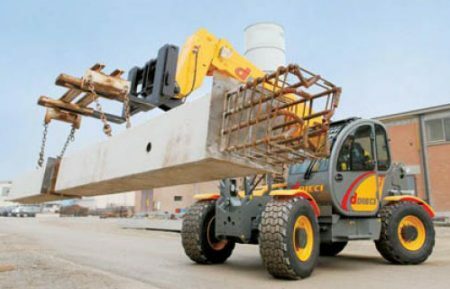 Twin front axle mounted stabilisers also provide greater lifting capacity and stability. 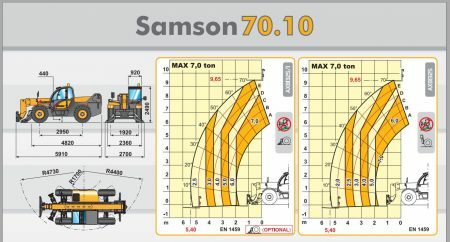 The Samson 70.10 can lift a maximum of 7 tonne with an impressive heavy lift of 5 tonne at its maximum boom height. 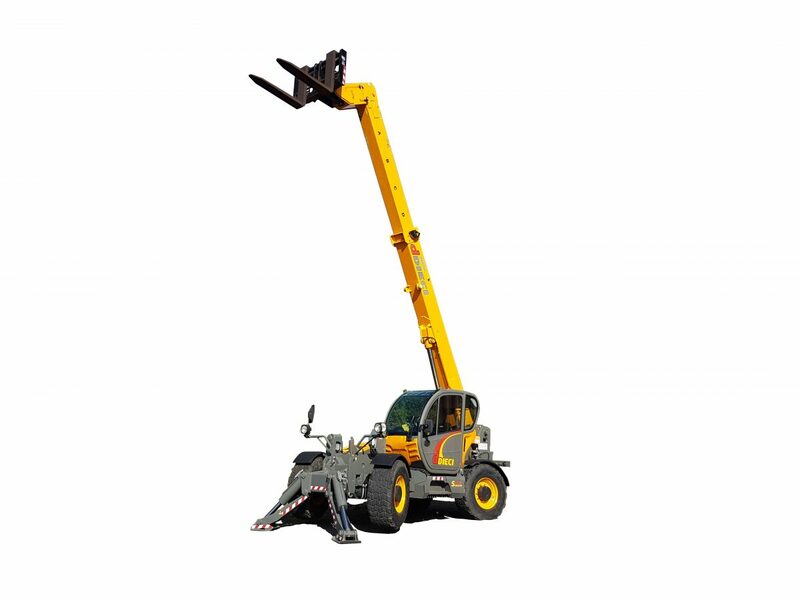 The machine is fitted with Anti Tipping Technology (ATP) for worry safe operations. The Samson 70.10 is ideal for larger construction sites that require heavy lifts of beams, concrete panels, or large pallets of building materials. Increased traction, manoeuvrability and heavy lifting capacity from the comfort of a modern spacious cab means you can do more in a day with the Dieci Samson 70.10!